Why were the Cathars killed but the Huguenots not? This paper investigates the relationship between the historical process of legal centralization and increased religious toleration by the state. We develop a model in which legal centralization leads to the criminalization of the religious beliefs of a large proportion of the population. This process initially leads to increased persecution, but, because these persecutions are costly, it eventually causes the state to broaden the standards of orthodox belief and move toward religious toleration. We compare the results of the model with historical evidence drawn from two important cases in which religious diversity and state centralization collided in France: the Albigensian crusades of the thirteenth century and the rise of Protestant belief in the sixteenth century. Both instances sup- port our central claim that the secularization of western European state institutions during the early-modern period was driven by the costs of imposing a common set of legal standards on religiously diverse populations. The cause of the transition from religious to secular government in Europe remains a heavily debated topic among historians of all flavours. This working paper, by George Mason University economic historians Noel Johnson and Mark Koyama, provides a novel explanation by marrying a formal model with secondary literature to construct an analytic narrative. Distributed by NEP-HIS on 2012-09-03, the paper contrasts the history of the Cathars and the Huguenots to argue that secularisation was a way for the French Crown to limit the costs of legal centralisation. Johnson and Koyama argue that traditional accounts of European secularisation don’t quite match the history; the process commenced much earlier than existing explanations give credit to. Secularisation cannot be a product of the 18th century Enlightenment movement as it is observed at least two centuries earlier. And secularisation cannot be associated with the advent of religious toleration, a thesis advocated by the likes of Montesquieu, as it occurred at a time of religious strife. The solution offered in this paper is that a path towards secular government was taken because enforcing an intolerant orthodoxy was deemed no longer “cost effective” by Europe’s rulers. Johnson and Koyama apply their theoretical model to French history. In so doing they are able to explain why the Cathars were the subject of a Crusade in thirteenth century, whilst the Huguenots were (eventually) permitted to co-exist with the official religion of the French state in the sixteenth century. 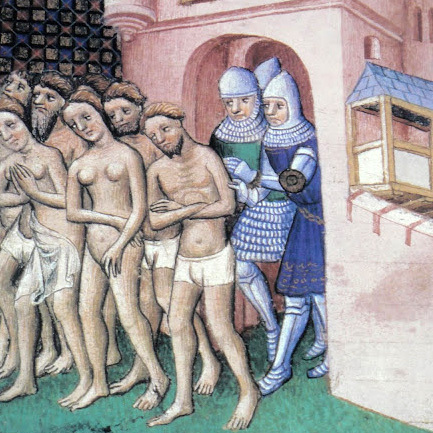 In line with recent historical research, they note that the Cathars only consciously became a separate heretical religion when the French defined it as such in their effort to incorporate Languedoc into the French state; in reality their beliefs were very similar to the French orthodoxy. 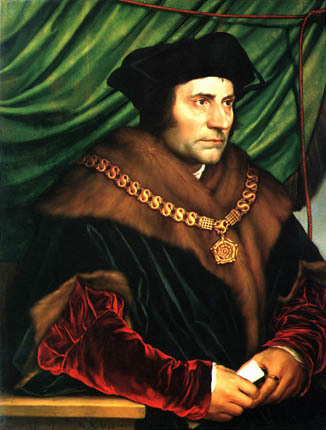 By contrast, the Huguenots were a self-defined separate religious and political grouping. The very process of state formation led to the Cathars being seen as a legitimate target for elimination, but permitted the Huguenots to co-exist with Catholics (following a short initial spike in persecution). The Reformation led to an increase in the bounds of tolerance because eliminating a highly cohesive and highly deviant new religion simply became too expensive. I would like to see this model applied to the Low Countries, an analytical narrative I will now briefly attempt to start myself. Taken together, the people of the Seventeen Provinces (what are now the Netherlands and Belgium) can be said to have formed three separate groups: the linguistically and culturally homogenous Protestant Netherlands north of the Rhine delta (Holland and its hinterland), the Dutch-speaking Catholic Netherlanders (Brabant and Flanders), and the French-speaking Walloons in the far south. The fact that the Protestant north colonised and incorporated half of the Catholic south in its effort to break away from Habsburg Netherlands means that the new Dutch state had to either tolerate or eradicate the highly cohesive and highly deviant Roman religion it now found within its borders. In the end, it chose the former. Perhaps the cost of purging the Generality Lands of their separate religious identity was found to be too costly in the face of the protracted war between the Seven United Provinces and Habsburg Spain. The construction of analytical narratives is an approach to economic history that has been popularised, above all, by Avner Greif in his work on the Maghribi traders. 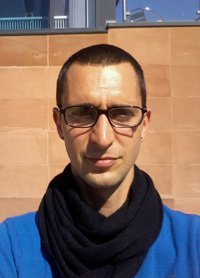 As a consequence of Greif’s choice of theoretical framework, it has become viewed by many in the profession as the application of game theory to history. Johnson and Koyama – the latter of whom teaches a graduate course on analytic narratives at GMU – form part of a new group of “analytic narrators” who use other rational choice frameworks in their research. This second wave may allow the analytic narratives project to grow from being merely applied game theory into a genuine independent methodology. I would like to see analytic narratives used elsewhere in business, economic and financial history; its use in business history in particular could prove fruitful, perhaps in the context of the “New Business History” project initiated by Abe de Jong and David Higgins. This entry was posted in Analytic Narratives, Economic History, France, Method & Epistemology in History and tagged economic history, economics of religion, methodology on 2012-09-23 by Chris Colvin. This short paper was distributed by NEP-HIS on 2012-09-03. It is part of a broader effort to discuss the future of money through contemporary and historical perspectives. This was revealing as I expected cashlessness to emerge as part of the ‘classical political economy’, 19th century French economists like Léon Walras, J. B. Say, within the work of Stanley Jevons, Karl Menger or simply related to ideas dealing with the separation between real and nominal economies. Also of interest is that these early authors initially discuss money (in the form of gold and silver coins) and move to portray a dissatisfaction with financial intermediaries (which in a way echoes today’s critiques). Matthew Hollow argues that in Utopia, More is concerned with how money is a hindrance to peace and prosperity and therefore the best way to do away with all the problems associated with money is to do away with it. But for for this to work society has to be reorganised from first principles. As a result, the inhabitants of the Island of Utopia are in no need of anything (as far as finance is concerned). A perfect society. An idea that later on reappears in many shape and forms, including 20th science fiction authors (which, by the way, take a superficial attitude towards this and largely side step deeper issues relating to money, financial institutions or economic organisation). In Hollow’s interpretation of More, money is more than a medium of exchange, unit of account or store of value. It actually acquires a social dimension. An idea that is not really explored systematically until perhaps Georg Simmel’s The Philosophy of Money (1907) or even Viviana Zelizer’s The Social Meaning of Money (1994). Hollow’s then takes us to the 19th century to show how More’s ideas influenced Robert Owen (1771–1858) and William Morris (1834–1896). Like More, Hollow tells us, Owen ‘detested’ the monetary system and proposed one of locations where workers could exchange their surplus, and was critical of gold and silver ‘.. as a means of exchange and was particularly concerned about the effect that a shortage of either could have upon the welfare of the poor.’ Owen goes as far as proposing a medium of exchange with the quality of ‘… expansion and contraction to a fractional accuracy ..’ but fails to specify how this would work. We all know that Owen’s ideas were highly influential in both the US and Britain and in spite of several efforts, they all failed in practice. 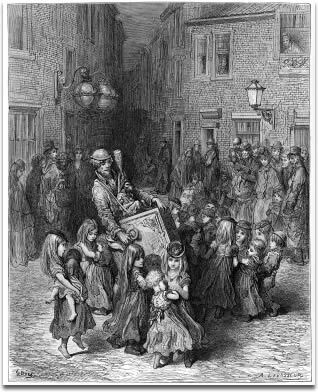 Regarding Samuel Butler’s satirical utopian text Erewhon (1872), Hollow believes the message behind the ‘Musical Bank’ reflected Butler’s view of a fundamental reshaping of the already outworn financial services of his era and a critique of the coins and note system of the Western world. 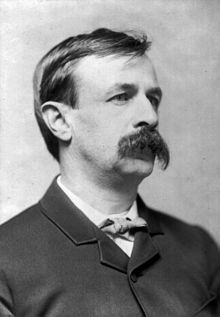 Of course, a review of pre-1900 authors would be incomplete without Edward Bellamy’s now classic book. But here Hollow helps us by comparing and contrasting the Ballamy’s ideas with those of his contemporary utopians. This includes tackling head on whether Bellamy indeed introduced the idea of a ‘credit card’ in light of his own views on credit. Finally, Hollow offers some conclusions as to why there is more in the socialist utopian literature about the cashless society than just removing the ‘conventional’ notes and coin system (which was already there as a posibility in More). But that it was technologically difficult and doing away with cash would require a major transformation of society. Here then a clear link with the idea of cashless and checkless that emerges in the mid-20th century along side business applications of computer technology. In summary, Matthew Hollow offers a short yet provocative essay as to early notions of cashlessness which help to put the idea of a cashless society in long term perspective. This entry was posted in History of Economic Thought, Money & Banking and tagged business history, financial history, money on 2012-09-18 by bbatiz. A country’s most important asset is its people. This paper outlines the development of Britain’s human resources since the middle of the 19th century. It focuses on four key elements. The first is the demographic transition – the processes through which birth rates and death rates fell, leading to a slowdown in population growth. The second is the geographical reallocation of population through migration. This includes emigration and immigration as well as migration within Britain. The third issue is labour supply: the proportion of the population participating in the labour market and the amount and type of labour supplied. Related to this, the last part of the chapter charts the growth in education and skills of the population and the labour force. This work by Tim Hatton was distributed by NEP-HIS on 2012-07-29 and deals with the evolution of population, labour force and human capital in Britain over the last 140 years. It is part of the upcoming third edition of the Cambridge Economic History of Modern Britain edited by Roderick Floud, Paul Johnson and Jane Humphries. The author of this paper is one of the most known scholars when it comes to British labour history. The paper neatly illustrates the main trends in the evolution of human capital in Britain in the long run. The first trend is the one of population. British population tripled over this period, predominately due to the increase in the number of the over 60 population. The reduction in deaths was due to the reduction in infectious diseases. This change in the age structure is typical of demographic transitions experienced by industrializing countries. Nowadays, the main cause of death is chronic conditions that are also responsible of the increased number of years spent in disability. As for the fertility transition, Hatton claims that it was not caused by the decrease in infant mortality (and therefore the need to have fewer children in order to ensure support in old age). On the contrary, Hatton claims that a shift in preferences for smaller and better off family took place and was enabled by more awareness of birth control. The second trend is the shift of Britain from an emigration to an immigration country. Emigration was in general connected to fluctuations in the business cycle abroad and the author estimates that the without emigration, real wages would have been about 12% lower. The reversal took place in the 1980s due to a mix of changes in institutional factors and economic incentives. Countries such as the US, Canada and Australia abolished the preference for British migrants and Britain facilitated the migration of Commonwealth citizens. As for the condition of the labour force, the participation of women increased and the one of people over 65 decreased. There are two hypotheses on why women stayed out of the labour market until the 1930s: economic choice or social norms hostile to women labour. In the first case the decrease in the number of children to take care of should have led to an increase in participation, which did not occur for a long time after the beginning of the fertility transition. According to Hatton, women empowerment led to the overcoming of social norms. In general, the number of hours worked decreased from 60 per week to 36 from the 1980s on. This was possible because of the increase in real wages that allowed workers to work fewer hours. Finally, education became universal through the expansion of public schooling and higher education (especially in professional subjects). For women, the attainment of a higher level of education was functional to the larger participation in the labour force. In conclusion, this paper gives an excellent overview on different topics in British labour history. It connects the different dimensions (population, labour force, migration, schooling) within one framework and proposes the author’s view on several debated issues. This entry was posted in Britain, Economic History and tagged Britain, Education, Fertility, Labour economics, Migrations on 2012-09-13 by missiaia. The spread of manufacturing to the periphery 1870-2007: eight stylized facts. Abstract: This paper documents industrial output growth around the poor periphery (Latin America, the European periphery, the Middle East and North Africa, Asia, and sub-Saharan Africa] between 1870 and 2007. We provide answers to the following questions: When and where did rapid industrial growth begin in the periphery? When and where did peripheral growth rates exceed those in the industrial core? When was the high-point of peripheral industrial growth? When and where did it become widespread? When was the high-point of peripheral convergence on the core? How variable was the growth experience between countries? And how persistent was peripheral industrial growth? “To a large extent, world economic history since 1800 has been the history of how the international economic system adjusted to the dramatic asymmetric shock that was the Industrial Revolution”. Besides catching the reader’s attention, this powerful statement points to the globalisation of manufacturing as one of the most important economic events of the 19th and 20th centuries. Authors document industrial output growth between 1870 and 2007 for core (“developed”) countries and for the periphery (Latin America, the European Periphery, The Middle East and North Africa, Asia and the Sub-Saharan Africa). Different phases of trade policy are highlighted: the globalization of the late 19th Century, the interwar period; the period after WWII, and the 1980s onwards. Men working their own coal mines. Early 1900s, USA. Taken of Wikipedia. Peripheral industrial growth rates were uniformly higher than those in the three original industrial leaders between 1920 and 1989. Rapid industrial growth was not a consequence of a small number of countries in each region but a response to the spreading of this growth to more countries. The less industrialized countries saw statistically higher industrial growth rates between 1920 and 1989, with this convergence being higher during the ISI period. Although some countries show a very persistent industrial growth, rapid long run industrial growth was not particularly persistent in the 20th century. They find that industrial growth rates were more volatile in the periphery than in the core for every year except for the interwar period. In both regions, core and periphery, the volatility of industrial growth has reduced over time. This paper makes several contributions first and foremost is the database itself. The possibility to reconstruct industrial output series for 134 countries for the period 1990-2007 and 23 for the period 1870-1889 is a remarkable effort. As they went further back in time, the authors had to rely increasingly on individual country sources and they acknowledge “many generous colleagues” for sharing the data with them. In this sense, setting up this kind of databases is possible thanks to many colleagues that are working to reconstruct different databases all over the world. A second contribution is that this paper documents and clearly shows us that the rapid peripheral industrialization had different paces and starting points for regions and countries. Moreover, this allows us to see that this is not a phenomenon unique to the recent past. 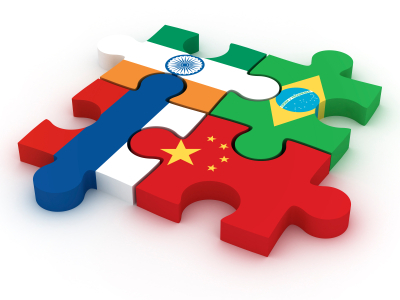 These conclusions are important to understand, for example, that the process of the BRIC´s countries (Brazil, Russia, India and China) is more a historical trend than a completely novelty. Finally, this paper contributes to show that the relationship between openness and industrialization is not straightforward. In this sense the authors state that it may be contingent on other factors, just as appears to be true of the relationship between openness and growth, more generally. Besides these contributions, there are also some comments to make at this point that I think are good to better understand the scope of the statements in the paper. To begin with, the paper discusses the evolution of the industrial output but not the industrial output per capita. Although the paper makes a very good job describing the spread of the industrial production over the world, the implications that this spreading has on the development process remain unclear. The relationship between economic growth and industrialization is given by several channels like structural change (labor shares in production) and productivity in industry (output per capita), to mention two of the most important. In this paper, the authors do not discuss labor shares in industry and the output per capita. Moreover, the output per capita is only used as the variable of convergence: they show regressions of manufacturing output growth rates against initial levels of per capita output. Then, what the regressions show is that less industrialized countries saw statistically higher industrial growth rates. However, this fact does not imply, for example, that these countries have been closed the gap of industrial product per capita since, for example, the population has grown much more in the developing countries than in the developed ones. In this sense, it seems that more research is needed to understand what are the process and determinants underlying the convergence and divergence of industrial output per capita and how they influence the process of economic growth. A second comment is that the paper does not make a difference among different process of industrialization in terms of the goods they produce for domestic consumption and their patterns of international trade. On the one hand, the specialization in different sectors matters because it has been stated that different sectors have uneven capabilities to boost economic growth. On the other hand, the big changes in international trade policies make the research about the sectorial composition of the industrial output even more important. During this period, international trade has changed from being mostly inter-sectorial trade based on comparative advantage to intra-sectorial trade based on other kinds of dynamic technological advantages. In this sense, the processes that can boost industrialization during some context are not the same processes that generate it in other contexts. Moreover, the composition of the industrial output is very significant during the period of the ISI when some peripheral economies were almost closed to international commerce. There is a possibility that the rapid economic growth of the industry during this period in some peripheral countries took place in industries heavily protected and where (even after the learning period) international commerce would turn impossible. In that sense, it is not straightforward what this rapid industrial growth represents in terms of economic development and more research would determine if it was good news for those economies or merely inefficient replacement of trade. To sum up, the process of industrial development over the world in this almost 140 years has yielded very different results. For example, some Asian countries have achieved a remarkable industrialization while Latin American countries have been diverging in productivity terms against United States in the long run. The common characteristics and the differences between all these paths established a very good scenario to understand, for example, the determinants of structural change or the relationship between trade and industrialization. Among others, these questions contribute to understand the process of economic development in the long run. This paper is a contribution and an invitation to carry on this task. This entry was posted in Economic History, Globalization, USA and tagged economic history, globalization, industralization on 2012-09-07 by sebastianfleitas.